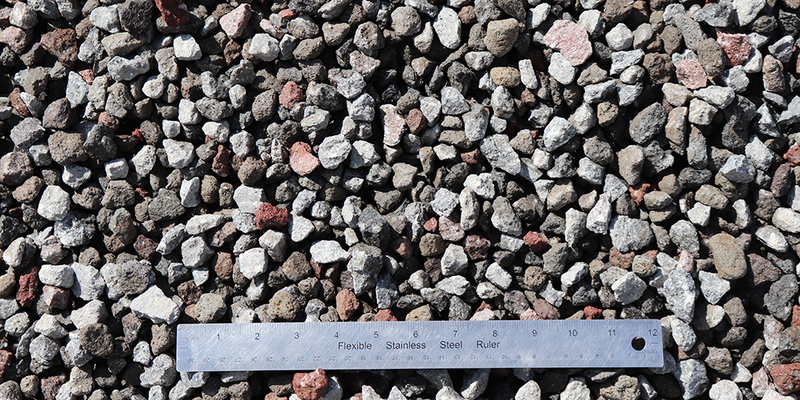 Butte Sand and Gravel’s ¾” crushed rock is clean, washed crushed rock that runs from ¾” to 7/8”. ¾” Crushed, as it is typically called, is used for an under slab vapor barrier, underground construction backfill and a topping for driveways and pathways. Predominately gray in color, it also has hues of pink and blue.